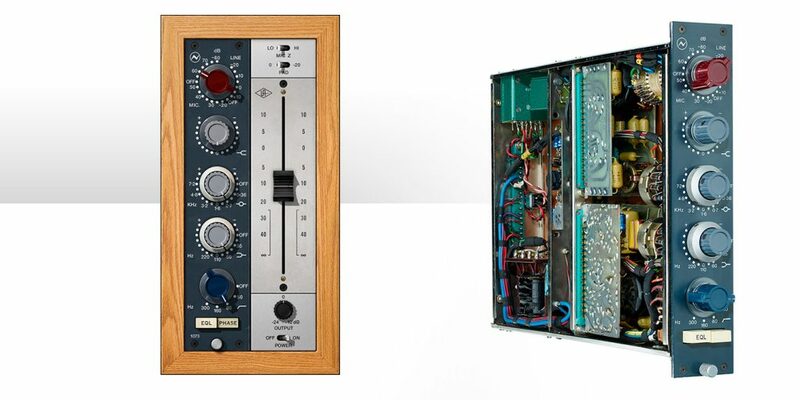 While Focusrite is often thought of as one of the premier audio interface companies on today’s market, it got its start as a large format console manufacturer. For much of its long history, Focusrite has been responsible for some of the industry’s most respected and classic microphone preamps, featured in both the ISA and Red ranges. This time around we are taking a look at the company’s new Clarett product line, which combines both areas of expertise: interfaces and mic pres. “Claret” is a shade of red with a deep ruby tinge, often used in the description of fine wines. As with the USB-based Scarlett range, an extra letter gives the line a distinctive name that’s easy to find on the Internet while being easy to remember. Each unit in the Clarett line is housed in a deep red anodized aluminum enclosure, but the real story isn’t their external beauty… it’s all the cool new stuff happening inside the case! The most obvious new feature of the Clarett range is its use of Thunderbolt, the latest connection technology for computer peripherals. Currently the Clarett interfaces only work with Mac OS X 10.9 and above, but Focusrite is working on compatibility with Windows 8.1 and Windows 10 and should have beta drivers available soon. The advantage of using Thunderbolt for multitrack audio can be summed up in one word: latency. The faster your connection and the higher the bandwidth, the lower your latency. Focusrite claims a round trip latency of 1.38 milliseconds for the Clarett interfaces. The other big innovation in the Clarett series is its newly designed preamps. According to the Focusrite website, this is a “low distortion, ultra-linear design”, with a self noise of -128 dB EIN. Focurite use the adjectives “clean, open and transparent” to describe the sound. Overall I concur with this assessment. The preamps in the Clarett have a tight well-defined low-mid weight and the gentlest of rounding on top. This gives them a clean, transformerless “modern recording desk” vibe that stacks well and offers great coherency to a mix. Please note that this top-end rounding is ultra-subtle; I point it out only to differentiate the Clarett preamps from many of the clinical “straight wire with gain” interface preamps on the market. The Clarett preamps also offer an additional feature (or voicing, if you will) that is designed to impart some of the sound and feel of the company’s classic Red and ISA models. 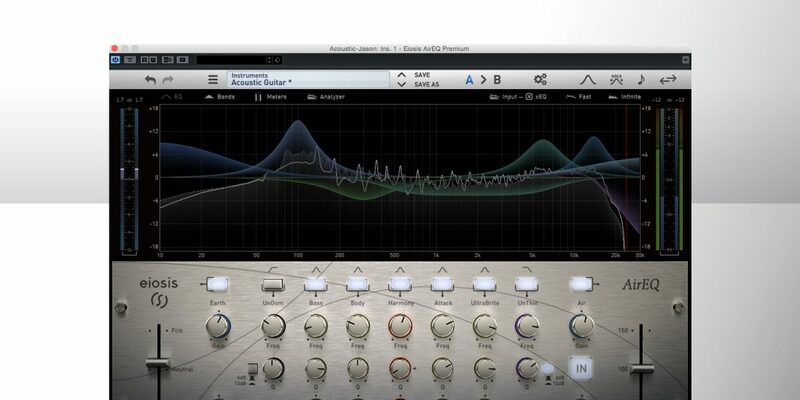 Focusrite calls this feature Air, and while it does impart a harmonic, feathery openness — and yes, even a hint of air — into the sound, it’s not simply an EQ or noise circuit being switched on, nor is it a software model. According to Focusrite, Air is an analog process that models the input impedance and transformer resonances found in the originals. In addition to the sonics, a big reason for keeping this an analog circuit design is that the company did not want an additional software process to add latency on the way in. Currently there are four models in the range. The two larger models are out now with the smaller units forthcoming. Each model’s number refers to its available microphone preamps, but note that each unit comes equipped with additional ADAT and S/PDIF I/O as well, leading to the (input x output) totals listed here. They are the Clarett 2Pre (10 x 4), Clarett 4Pre (18 x 8), Clarett 8Pre (18 x 20), and Clarett 8PreX (26 x 28). For this review, I received the 1U rackmountable Clarett 8Pre. Functionally the Clarett 8Pre is one of the most straightahead interfaces I have used in a while. Unlike many modern units, which use multifunction dials, buttons and encoders, the 8Pre takes a “what you see is what it does” approach with 8 high-quality level knobs, 6-stage LCD metering for each channel, a monitor output knob, and a pair of headphone outputs, each with its own output control. There are also pushbuttons for Dim and Mute, buttons for engaging 48V phantom power for channels 1-4 and 5-8 and a pair of front panel inputs with Neutrik XLR/TRS Combo jacks for mic or instrument inputs. The only function not accessible from the front panel is the Air setting, which is accessed in the included Focusrite Control software (see below). On the rear of the unit are 6 additional combo inputs for mic or line, 10 TRS balanced line outputs, ADAT optical I/O, SPDIF I/O, BNC Word Clock Out, a single Thunderbolt port, AC socket, and MIDI In and Out. The software side of the Clarett package is Focusrite Control. This software controls the few internally-accessible functions of the Clarett models, like turning Air on and off. It also features a simple-to-use mixer that is scalable to your needs, with the ability to create submixes for the each of the mono or stereo output groups and each headphone output. A full spec list is available at the Focusrite website, but a quick scan points up some relevant numbers worth quoting here. The unit provides 57 dB of input gain with a maximum input level of up to +26 dBu (line level) or +18 dBu (mic level); dynamic range is between 111 and 118 dBA depending on the input or output stage; the outputs can push a maximum signal level of +18 dBu (0 dBFS), and frequency response is flat to within 0.1 dB over the full 20 Hz-20 kHz range. I am a big fan of Focusrite interfaces. The Scarlett 2i2 USB interface that I reviewed in September 2012 still gets my highest recommendation for those locking for a great-sounding, rock solid interface under $200. So I anticipated that the Clarett 8Pre was going to be a treat, and I wasn’t disappointed. I had the Clarett 8Pre unboxed, installed, and up and running in less than 10 minutes… although to get the hang of all the software can do, it’s not a bad idea to check out the manual. My first use of the Clarett was for some remote recording of piano, and it handled that job like a champ. Beyond that, I used it for some group tracking of drums (overheads, kick, snare, and two toms), DI bass, and electric guitar with a single miked amp. Again there were no issues. In Cubase my lowest available buffer setting was 64 samples at 96 kHz, and I never thought about latency once. Monitoring was a snap; the headphone outs are loud and clear, and I love that each one can have a completely different mix. If you listen to a preamp with no incoming signal and switch on Air, you will hear the literal addition of air noise. I initially worried that multiple tracks of Air would build up and sound noisy. Instead, it’s no different than the subtle sound of analog noise and harmonics found in most high-end analog gear. When stacked in a mix it gives a harmonically more open top-end signature than tracks recored with the Air setting off. Bottom line: these preamps sound fantastic with or without Air, but it’s something I would probably never turn off. Air is one of those processes that manages to be both subtle and yet noticeable at the same time, and since it can be used only on the preamps you designate, you can mix and match Air and non-Air inputs in the same tracking session. Thanks to the Thunderbolt spec and low latency, it is possible to track through plug-ins for monitoring, and even to print recorded tracks with plug-ins if your DAW allows. In Cubase I was able to track and monitor through plug-ins by Slate, Universal Audio (which have their own low latency function), PSP Audioware and more. Latency was not an issue at all for me. However, be aware that you will still be subject to the processing limitations of your CPU and DAW. While the Clarett’s high speed gives you a bit more leeway on buffer size, you’ll still burn more horsepower at very low buffer settings. That being said, if you want to add some compression and EQ to your incoming tracks or monitor with reverb and delay, most modern DAW/Computer combos will handle that with ease, and the beauty of the Clarett is that it stays nicely out of the way. 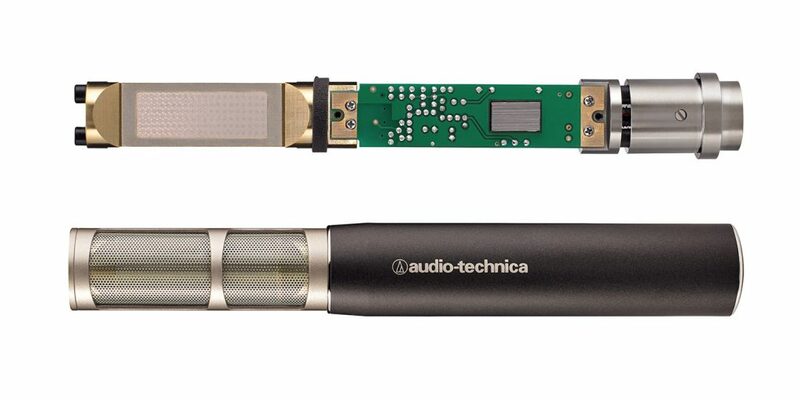 I’m not sure what more I can say… great preamps, one-to-one controls, great software design, low-latency Thunderbolt design, clean and quiet, and have I mentioned the great preamps? 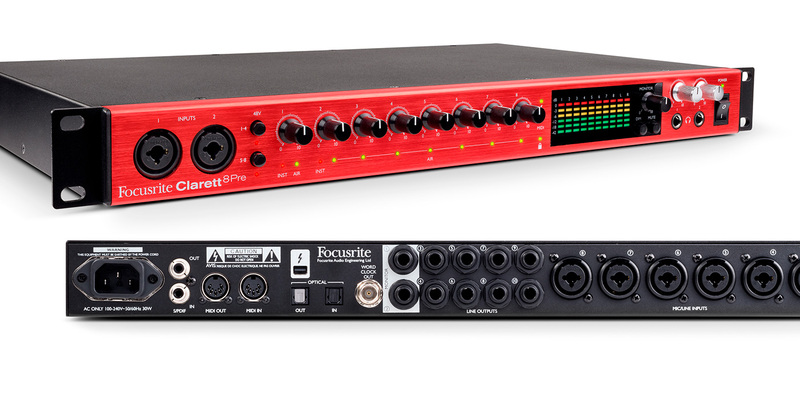 It’s a great time to be in the market for a Thunderbolt interface, because Focusrite’s brought its A game with the Clarett range.